'Tayny Parol' Тайный пароль (Olga Riabykh, R. 2017). Seedling# A2301-13. TB, 31.5" (80 cm), Midseason bloom. 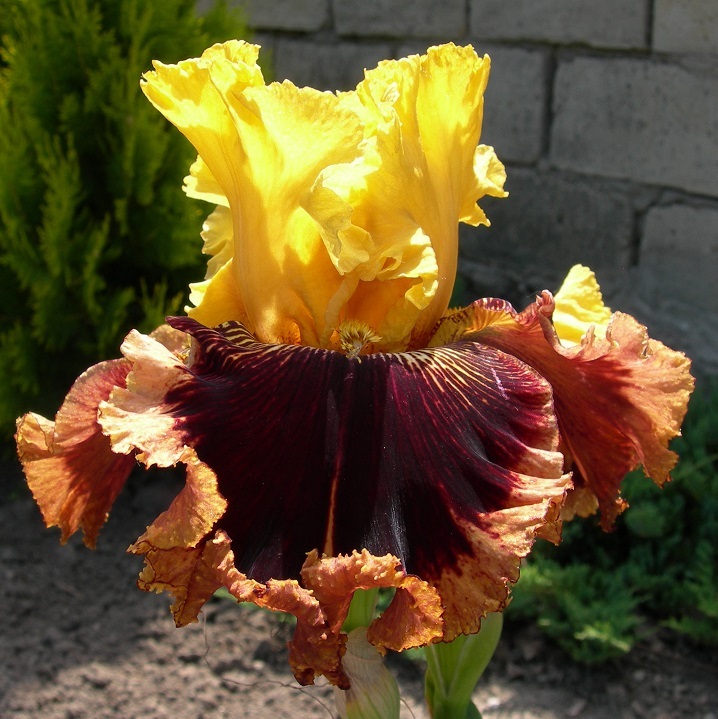 Standards yellow; style arms same, cherry at midrib; falls brown, wide light brown border, brown veins near beards, arrow mark from middle of petal to edge, ruffled, laced; beards yellow. 'Nishchiy Prints' X 'Losiny Ostrov'.